I have a seminar on customer service : Nothing but Net. It uses the basketball analogy because we were so proud of the Lady Raiders. Everyone needs to consider how they treat customers. If it is not top of your priority list, then you probably have problems you didn’t realize. Customer service/relations is the biggest part of sales. Let me help: assessments, coaching for management, staff training. 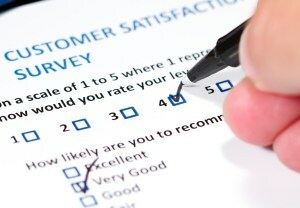 Each year the American Customer Satisfaction Index compiles the results of 70,000 random customer interviews to identify customer satisfaction in 43 industries and 10 economic sectors.